1. 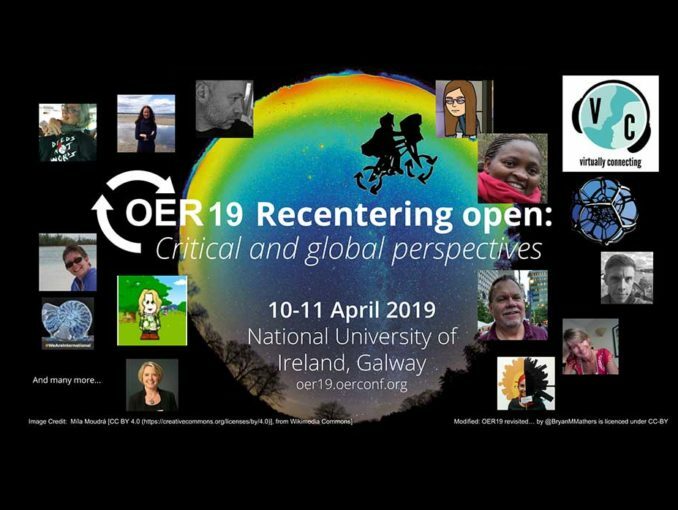 Open Education as Social Justice Writing Workshop: Wednesday April 10 at 2.25 Galway time. Wednesday 10th April 2.25pm – 3.25pm: Interested in writing a paper on Open Education as Social Justice? Come to our writing workshop (onsite or online) and toss around some ideas for your writing. You might be interested in an upcoming special edition of a journal devoted to Open Education as Social Justice. More information about the workshop and the special edition can be found here. Please register online so we know who to expect at the virtual vs onsite session, and can keep in touch with potential writers. Maha Bali @Bali_Maha will facilitate a virtual session parallel to the onsite event with Sarah Lambert @sarahlambertoz and Laura Czerniewicz @Czernie. Check out the hybrid session which will be run by Tannis Morgan @tanbob, Maha Bali (virtual), Cheryl Hogkinson-Williams (@cherylHW) and Taskeen Adam (@taskeeners): find out more about the topic on this blogpost. The session description is here and you can sign up by tweeting to @bali_maha.